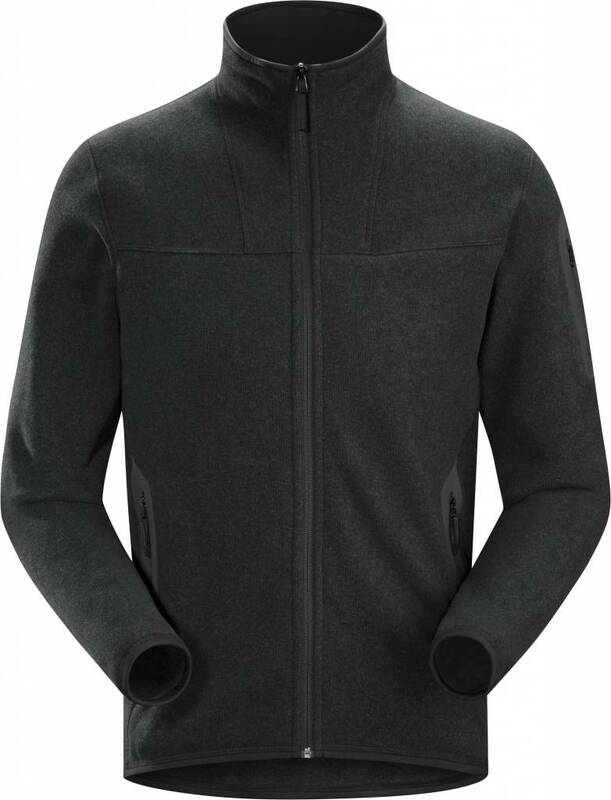 Clean, casual lines and technical Alpenex fleece performance combine in a fleece jacket with wool sweater styling. The Covert Cardigan modern sweater styling, clean lines and relaxed fit blur the distinction between alpine inspired performance and everyday living needs. 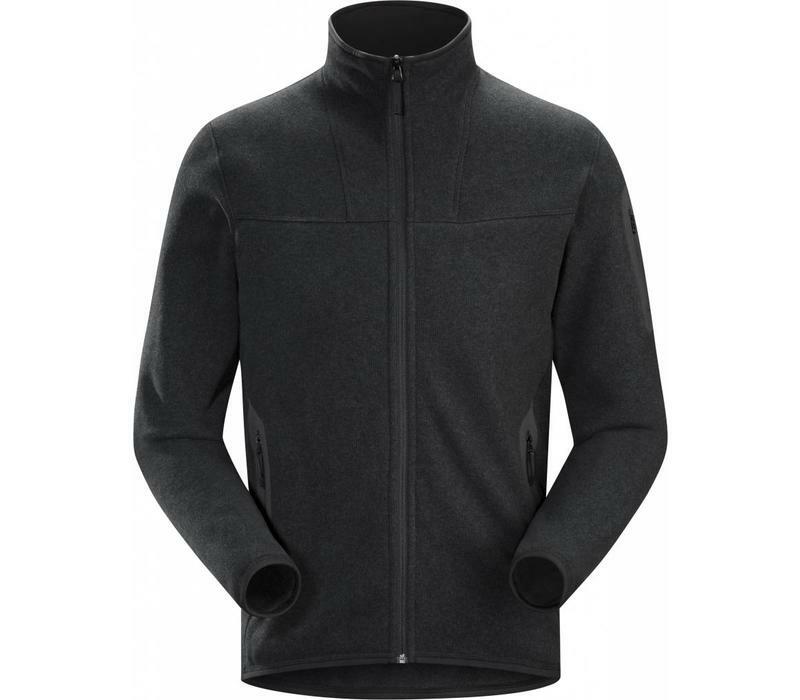 Arc'teryx specifically developed Alpenex heathered fleece to create a technical jacket with the elegant look of wool. The polyester fabric has a brushed back knit that is engineered to provide versatile warmth and comfort. •Alpenex Heathered 100% Polyester. A brushed back knit polyester fabric that looks like a wool sweater, but it is engineered to provide the versatility, warmth and comfort of a technical fleece.